On August 8, an announcement stating that E’Dawn will not be participating in PENTAGON‘s activities in Japan was posted on PENTAGON‘s official Japanese website. 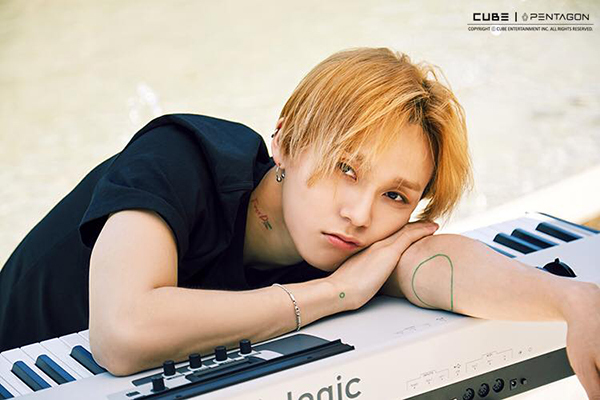 CUBE Entertainment Japan stated, “E’Dawn will not be participating in PENTAGON’s fan meetings in Tokyo on August 19 and 25 and in Osaka on August 26 and 27. We offer our sincere apologies.” The fans who wish to cancel their tickets will be able to receive refunds. Previously, E’Dawn did not attend the inauguration ceremony of PENTAGON‘s official fan club. As Triple H‘s promotion ended abruptly and E’Dawn has been absent from PENTAGON‘s schedule, there has been concerns about whether E’Dawn will be leaving the group for good. There has been no official statement regarding this speculation. Recently, E’Dawn and Hyuna revealed that they have been dating for 2 years.